The latest technologies offer never-before convenience and capability, but also enable never-before surveillance of you and your actions. Whether you’re a political dissident, a corporate whistleblower or simply a regular individual who just wants to check his bank account online (or take advantage of a mega sale on an e-commerce site), many, many people are snooping on you. It is not just governmental or law enforcement agencies who might want to keep tabs on people. Google and Facebook probably know more about you than any government. This is to say nothing of the various online advertising networks, e-commerce sites, sundry entertainment sites, your cellphone provider, your ISP… the list is virtually endless — and these are the ‘good’ guys. The less savoury inhabitants of the online world — identity thieves, scamsters and other outright criminal elements — are just waiting for you slip up. Chin up, though. There are ways and means, as they say, and by the time you finish this article (hopefully), you’ll be informed about the various ways in which you can minimise the impact on your privacy. The first part is educating yourself about the manner in which your online privacy is being compromised. The key to understanding the causes is that most internet protocols and services were designed for a time when all interactions were trusted — which is fine on an academic network, but not so fine when large numbers of third parties with unknown motivations can monitor your actions. Anonymity is one big area of concern. The ability to have one’s say without being concerned about political retribution, corporate retribution (in the case of whistleblowers) or online harassment is a feature of online life that is increasingly under attack. It’s a similar situation with pseudonymity, where one could have one or more online personae that are not necessarily linked to one’s offline identity. This becomes especially alarming when you look at both commercial and political efforts to link multiple databases, so that (for example) a database of shoppers could be linked up to a social media account, which in turn is linked up to a database of mobile subscribers. Location based services are another developing area of concern. Advertisers would love to put names and profiles to people who are near (say) a large store, which leads to the whole sub-species of marketing science known as behaviour tracking and profiling. Again, the potential for abuse is large, and mostly unstudied. The biggest players in this space are the various advertising networks and, in general, any large free service (such as Google or Facebook) which has data of your usage of many different services, as well as the ability to link them all together into a profile. Your personal information is extremely valuable – much more valuable than you might think. The real money in the online world is in taking your data and selling it to third parties, so that they can come up with new ways to convince you to spend even more money, sign up for other services and give up yet more information. From the commercial to the criminal: identity thieves and other online scamsters want your personal data for a variety of decidedly nefarious purposes, such as opening multiple bank accounts in your name (and leaving you to face the consequences). Overreach in terms of corporate and governmental surveillance is also (and should be) a matter of concern to all citizens. Now that you have an idea of just how (and by whom) your online privacy is being compromised, what can you do to prevent it? 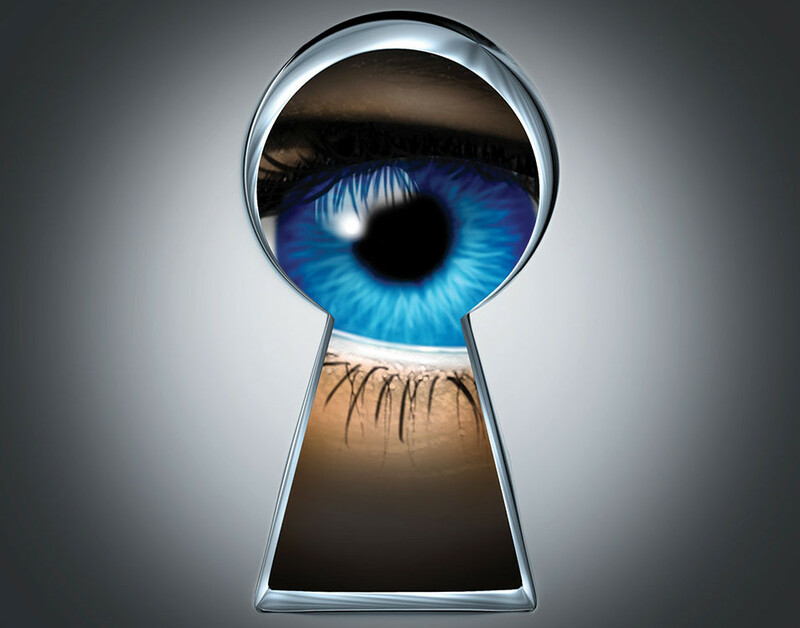 There are a host of measures that any user can take to enhance their privacy online. These range from the relatively easy to ones that require a little more effort. Ad blockers: These have the dual effect of blocking the display of intrusive advertising, and also preventing the ad networks from tracking you across the web. Notable plugins include Ad Block Plus, Ghostery and Privacy Badger. EFF’s https everywhere: As the Electronic Frontier Foundation explains it, “Our aim was to switch hypertext from insecure HTTP to secure HTTPS. That protection is essential in order to defend internet users against surveillance of the content of their communications; cookie theft, account hijacking and other web security flaws; and some forms of internet censorship. Set your browser to clear out cookies every time you close it. The momentary inconvenience of re-logging in to your accounts is worth it in terms of the privacy gains. You could also use a good cleaner, such as ccleaner (www.ccleaner.com) to remove cookies. – Consider using a separate browser for your social media browsing. – Using your browser’s incognito mode as suggested above will help remove cookies once you’re done browsing, but won’t prevent your computer’s IP address from being logged by your ISP and the sites you visit. You can work around this by using a VPN, or Virtual Private Network. One provider to look at is Witopia (www.witopia.net). Turn on Bluetooth and GPS only when needed. The additional benefit you gain is an increase in battery life! In any article of this nature, the topic is too large to permit more than an overview of the various issues involved. The trick lies in finding the right balance of cost (in terms of effort), convenience, and privacy. Good luck.